Sometimes you stumble across a portfolio where the artist only has a couple of comic based pieces, other times there can be just one work so brilliant, you'd risk being stoned to death by fellow art lovers for putting something else beside it. 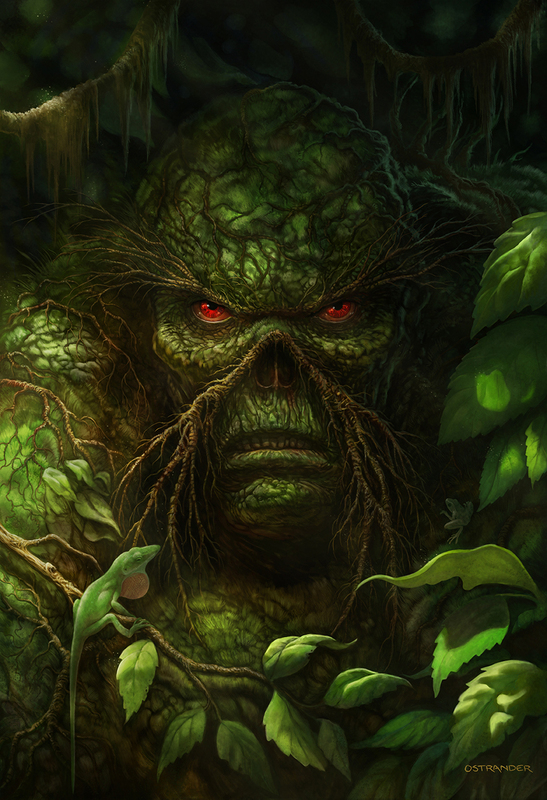 These are Random Works of Wow, and illustrating the point this week is artist Glen Ostrander with comics' true environmental avenger, Swamp Thing. If you think he's a frightening sight now, just wait until you click to enlarge! Not only has Glen gone OCD on the detail to an astonishing extent, those eyes drill into you like something out of Poltergeist! What do you think? Seen a better Swamp Thing? Sound off below or to view more of Ostrander's artistic wizardry, click the jump. That would be so perfect for a sign in a national park somewhere, with the words underneath reading "DO. NOT. LITTER." Super awesome work there Dan! That could easily be a poster or actual comic cover. A future hit at DC's for the taking. I thought this one was pretty good - I actually have a killer Magneto for next week, and only just decided to run with this one instead of that this week at the last moment. The detail in both of them is off the hook. But it's Swamp Thing you know? You just can't turn down a Swampy post when it's staring back at you like this is. You are just afraid not too! That's an awesome Swamp Thing! Really gorgeous! Makes me want to dig out my old Nancy Collin's issues! I"m a little obsessed with Swampy actually - good show. Thanks Shag and Arthur glad you liked Glen's Swamp Thing!